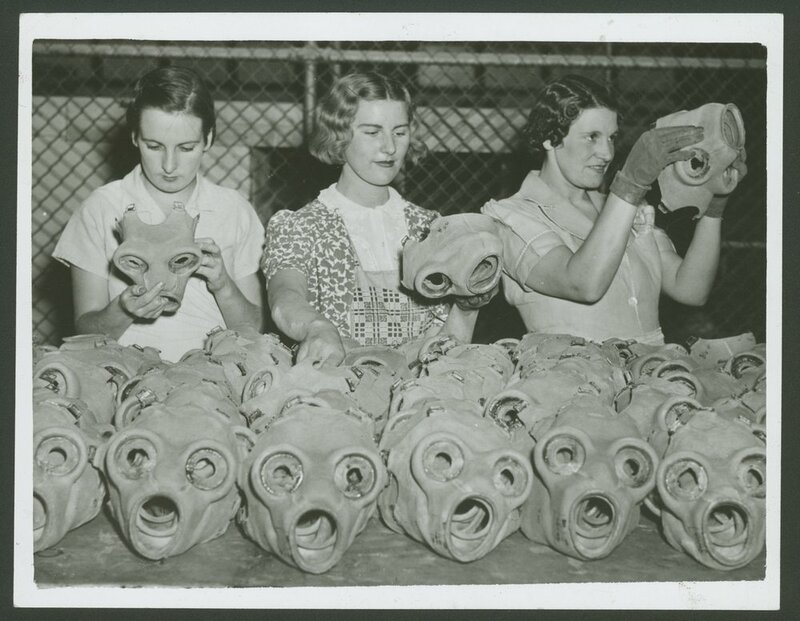 Checking rubber faces for Gas Masks, circa 1941. 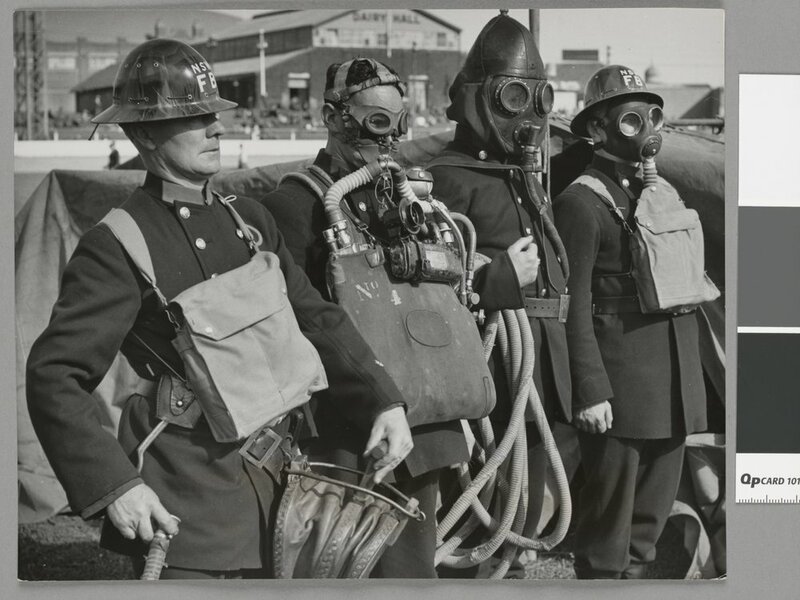 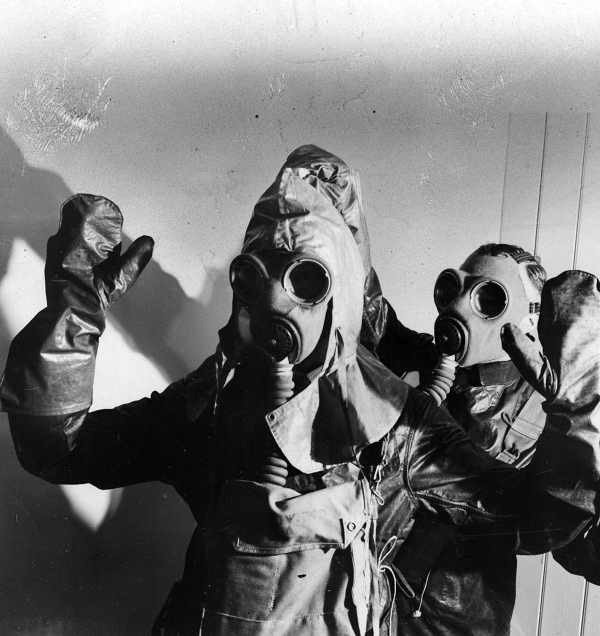 Men wearing gas masks and protective clothing, circa 1941. 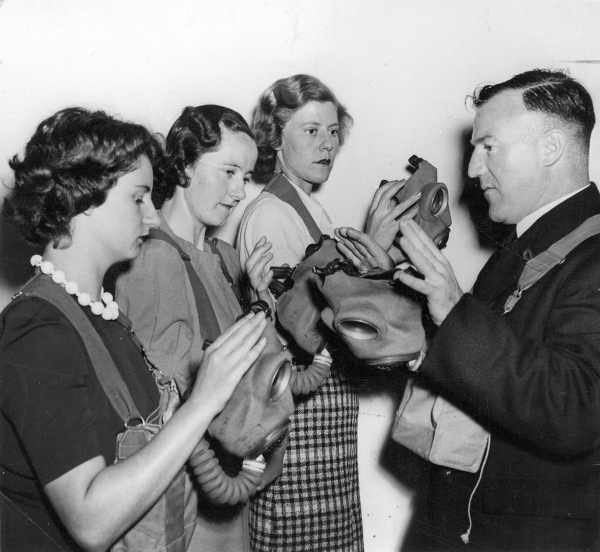 Civilian women being instructed on the use of gas masks, 1939-1941. 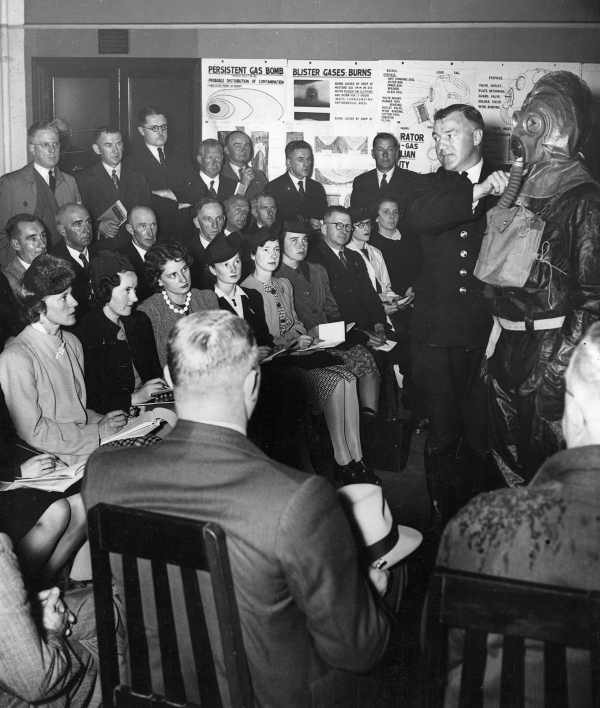 Civilian men and women being instructed on the use of gas masks, 1939-1941. 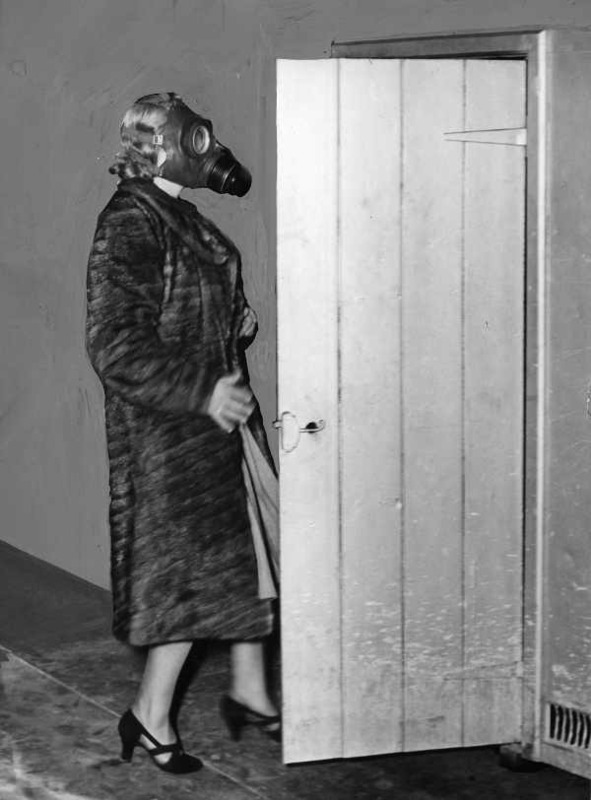 Woman wearing gas mask in chamber, 1941.